There's nothing sadder than a beautiful bouquet of cut flowers that fade almost immediately after placing them in water. Some wildflowers don't last long, either. Luckily, you can find long-lasting flowers at local florists and grocery stores almost all year around if you know what to pick. 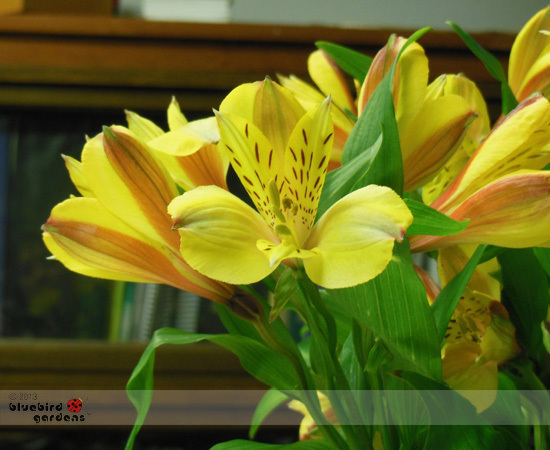 One of the longest-lasting cut flowers is Alstroemeria, also known as Peruvian lilies. Originally from South America, they bloom in a range of colors from white, pink, purples and yellows to variegated reds and burgundies. When picking Peruvian lily bouquets, make sure the leaves are crisp and firm, and that no blooms are wilted or falling off. If there is any wilting, you may be looking at flowers that are already a week or so old. Also check leaf tips to make sure they aren't yellow or turning brown, you want leaves that are completely green. An office colleague was given a bouquet of purple Peruvian lilies. They lasted a good two months with weekly fresh cuttings off their stems, and a change of water. These yellow Peruvian lilies bloomed for a good six weeks before they started to wilt. Keep them away from heat and direct light. Make sure to remove green leaves that may end up in water to keep water fresh.